Obverse: Bust, Right, within pearled perimeter. 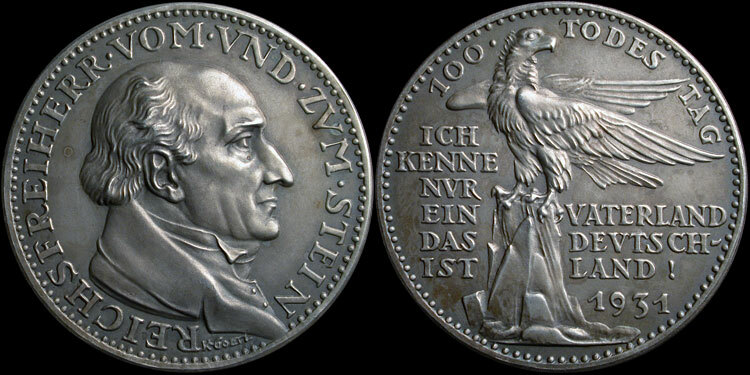 Reverse: "100th year of death. I do know only one Fatherland, and that is Germany."